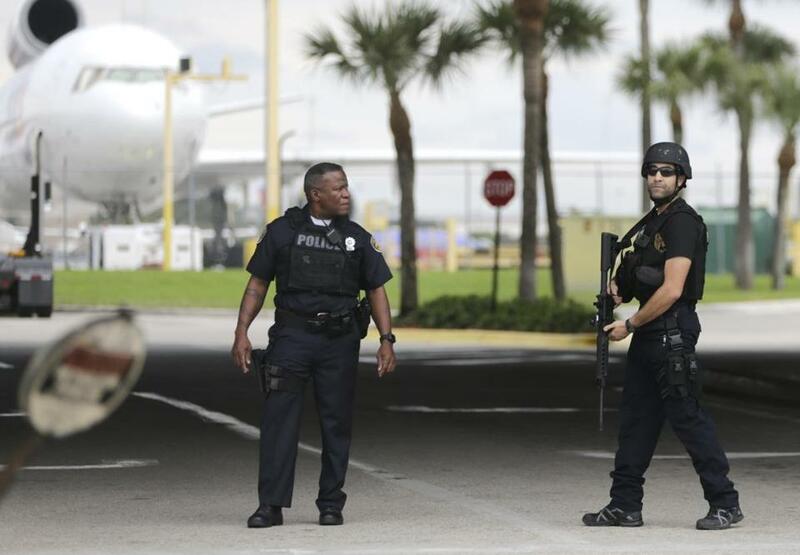 Police officers stood on the perimeter road along the Fort Lauderdale-Hollywood International Airport after a shooter opened fire inside a terminal of the airport. 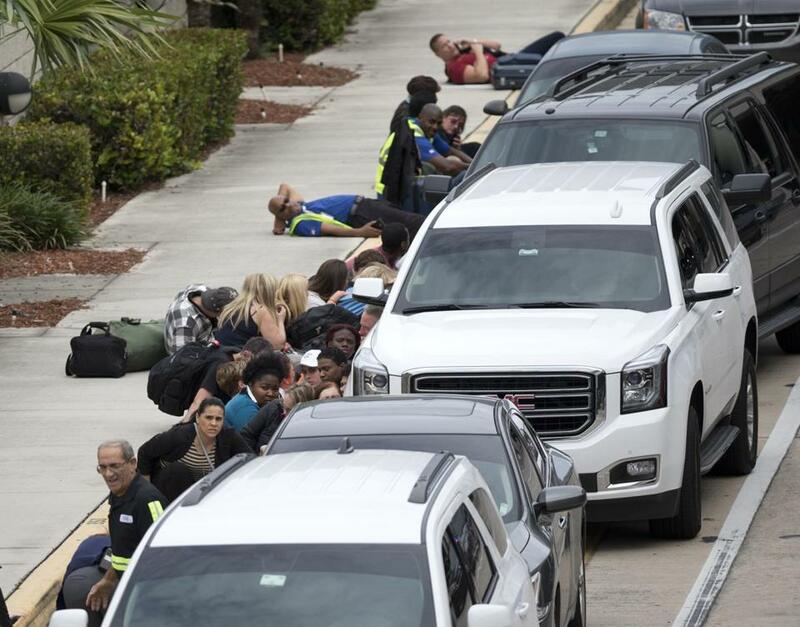 FORT LAUDERDALE, Fla. (AP) — An Army veteran who complained that the government was controlling his mind drew a gun from his checked luggage on arrival at the Fort Lauderdale airport and opened fire in the baggage claim area Friday, killing five people and wounding eight, authorities said. A law enforcement official told The Associated Press that Santiago had walked into the FBI office in Anchorage in November to say that the U.S. government was controlling his mind and making him watch Islamic State videos. The man police say opened fire with a gun from his checked baggage at a Florida airport had a history of mental health issues, according to his relatives. Agents questioned an agitated and disjointed-sounding Santiago and then called police, who took him for a mental health evaluation, according to the official, who was not authorized to discuss the case and spoke on condition of anonymity. FBI agent George Piro, who is in charge of the Miami field office, confirmed that Santiago had come into the Anchorage office and said he clearly indicated at the time that he was not intent on hurting anyone. 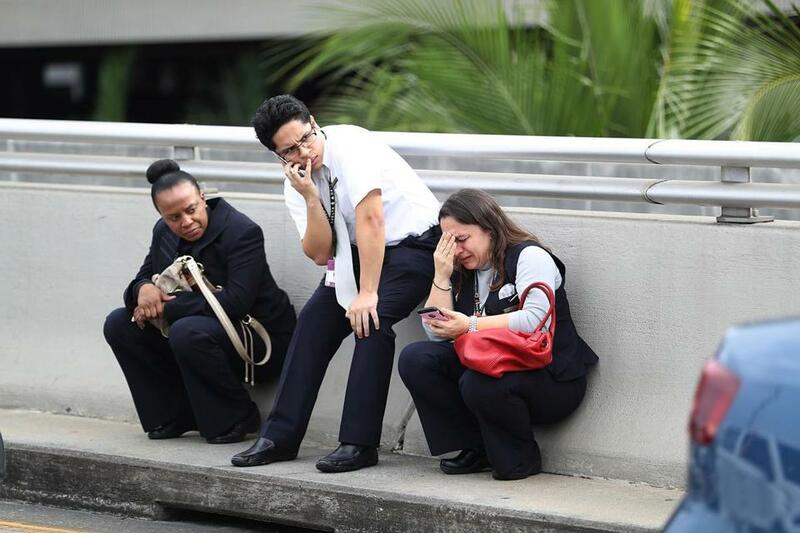 At Fort Lauderdale, ‘‘after he claimed his bag, he went into the bathroom and loaded the gun and started shooting. We don’t know why,’’ said Chip LaMarca, a Broward County commissioner who was briefed by investigators. ‘‘The fact is that wherever there are crowds, such as at our airports, we remain vulnerable to these types of attacks,’’ Nelson said. The Fort Lauderdale gunman said nothing as he ‘‘went up and down the carousels of the baggage claim, shooting through luggage to get at people that were hiding,’’ according to Lea. The killer went through about three magazines before running out of ammunition, Lea said. ‘‘He threw the gun down and laid spread-eagle on the ground until the officer came up to him,’’ Lea said. The airport was shut down, with incoming flights diverted and outgoing flights held on the ground. Airport Director Mark Gale said it will try to reopen at 5 a.m. Saturday but urged travelers to check with their individual airlines on flight status. He said 10,000 of the airport’s stranded travelers were being bused overnight to the city’s spacious Port Everglades cruise ship terminal. President Barack Obama was briefed by his Homeland Security adviser, the White House said. President-elect Donald Trump said that it is a ‘‘disgraceful situation that’s happening in our country and throughout the world’’ and that it was too soon to say whether it was a terrorist attack. 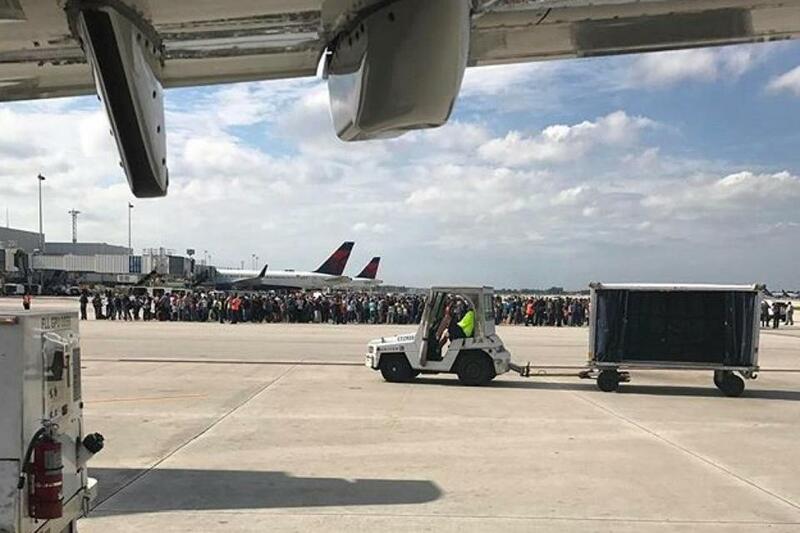 People took cover outside Fort Lauderdale’s airport. 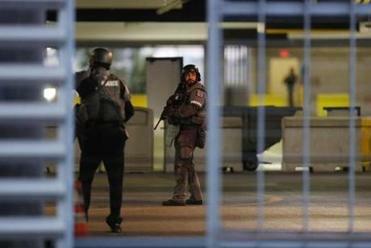 People reacted after a shooting at the Fort Lauderdale airport. Passengers gathered on the tarmac of the Fort Lauderdale-Hollywood airport. Globe correspondent Jeremy C. Fox contributed to this report. Associated Press writers Freida Frisaro and Adriana Gomez-Licon in Miami; David Koenig in Dallas; and Danica Coto in San Juan, Puerto Rico, contributed to this report.